Yossi Ives is an experienced　relationship　coach and Elaine Cox is an expert on developmental coaching approaches. They explain how the fundamental elements of coaching are customised and adapted to meet the needs of relationship enhancement. 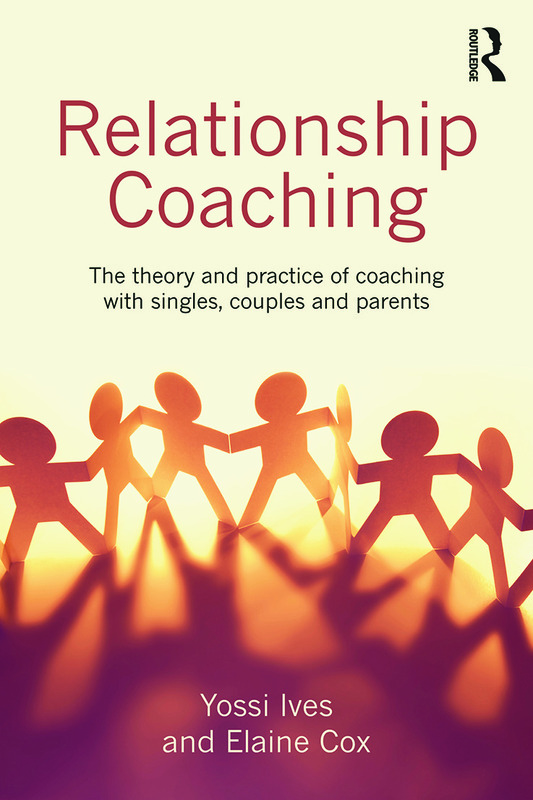 The book introduces specific coaching theories, processes and techniques through the use of practical case studies, which provide insight into a range of applications and contexts, and introduces new ways of approaching marriage and singles coaching. Relationship Coaching combines an accessible, practicalguide with a strong theoretical underpinning. It will be an essential guide for coaches, counsellors and students, as well as other professional helpers including social workers and ministers. Foreword. Introduction 2. Working Towards Personal Development in Relationship Coaching. 3. Working to Achieve Relationship Goals. 4. Psychological Approaches and Relationship Coaching. 5. Relationship Coaching in Practice 6. Coaching Single People for Relationship Success 7. Coaching Couples 8. Coaching with Parents 9. Professional and Ethical Issues 10. Conclusion. Yossi Ives is a relationship coach who co-runs a European singles organisation. He holds a PhD in Coaching and is the co-author, with Elaine Cox, of Goal Focused Coaching (Routledge, 2013). He is also founder and CEO of Tag International Development and the Tag Institute for Social Development. Elaine Cox is principal lecturer and leader of programmes within the International Centre for Coaching and Leadership development at Oxford Brookes University. She is an experienced researcher, author and editor and also directs the Doctor of Coaching and Mentoring Programme.